When winter comes, not all crows react the same. Some stay right where they are, toughing out the frigid days as they best can. Others choose to move to warmer areas, returning only when the cold has faded away. This is called a partial migration. Animal migration is a spectacular behavior which has fascinated humans since times immemorial. But most people aren’t aware that the most common form of migration in animals is actually partial migration — where must a fraction of the individuals migrate, and the other stays in place. This phenomenon is almost ubiquitous amongst migratory animals and has been reported in some species of fish, birds, amphibians, insects, and mammals. Despite all this, partial migration remains relatively understudied. 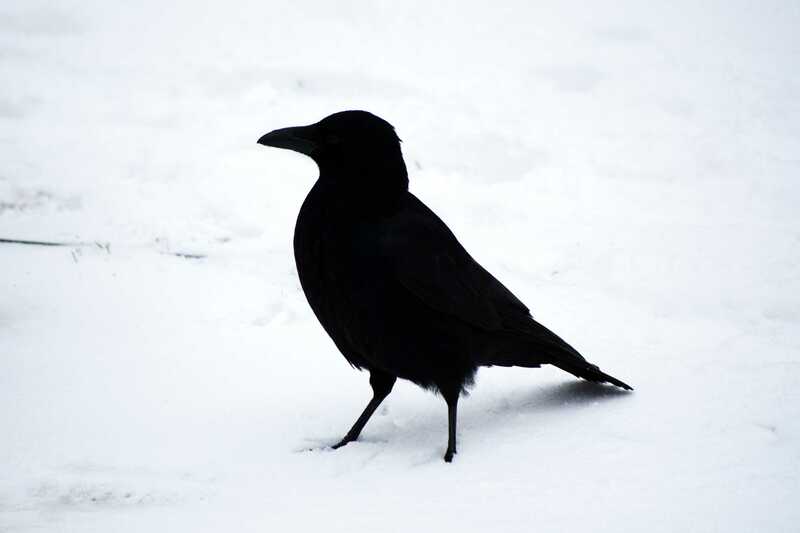 In order to address this shortcoming, Hamilton College’s Andrea Townsend and her colleagues captured crows in large winter flocks in Utica, New York, and Davis, California, fitting them with satellite transmitters to track their movements. The scientists also collected blood and feather samples. Researchers found that most crows do migrate — not just to escape trying weather, but to breed. In total, 73% of western crows and 86% of eastern crows migrated at least some distance to breed, with an average journey of around 500 kilometers. Interestingly, birds that stayed put one year also stayed put the next one — and the same thing was observed about migrating crows. It seems that their migratory behavior doesn’t change from year to year, and the birds don’t change strategies. However, they were more flexible when it came to where they spent the winter. Researchers also note that tracking crows’ migrations (and that of other urban-dwelling creatures) is more important than ever because their migratory patterns are affected by climate change and increasing levels of urbanization. But perhaps the most intriguing part is how much we still don’t know about these common creatures. We see them ever so often, but they’re still shrouded in mystery. The study “Where do winter crows go? Characterizing partial migration of American Crows with satellite telemetry, stable isotopes, and molecular markers” has been published The Auk: Ornithological Advances.